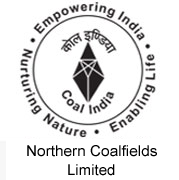 NCL Jobs Recruitment Notification 2018.Northern Coalfields Limited, NCL inviting applications for the positions of staff nurse and technician jobs.Interested and Eligible candidates can apply for the positions. Last Date for Submission of Application is on November 12th, 2018..
Total number of posts to be filled in NCL is 53. Matriculation holders from a recognized board can apply for technician jobs. 10+2 pass candidates can apply for staff nurse post. Maximum age for candidates is 30 years as on last date of submission of applications. Mode of applying for NCL recruitment is through online. From 08th October 2018 to 12th November 2018 the apply online link will be active. http://nclcil.in/page.php?pid=34 is the link to apply directly.